OpenCL (Open Computing Language) is a heterogeneous programming framework for developing applications that executes across a range of device types made by different vendors which efficiently maps to both heterogeneous and homogeneous, single or multiple device system consisting of CPUs, GPUs and others types of devices. 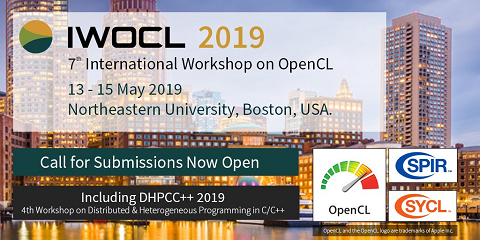 OpenCL provides many benefits in the field of high-performance computing and one of the most important aspects is its portability. This paper presents a comparison of the performance of OpenCL executing a matrix multiplication over a manycore CPU and GPU with performance analysis. The analysis are carried out to understand manycore CPU and GPU performance characteristics. Such analysis approach can be further extended to include more system parameters and refined to fit the actual execution time of parallelized applications. The simulation uses Ubuntu 12.04 in a desktop with an Intel i7 960 processor and a graphic card Nvidia GeForce GTX 460.